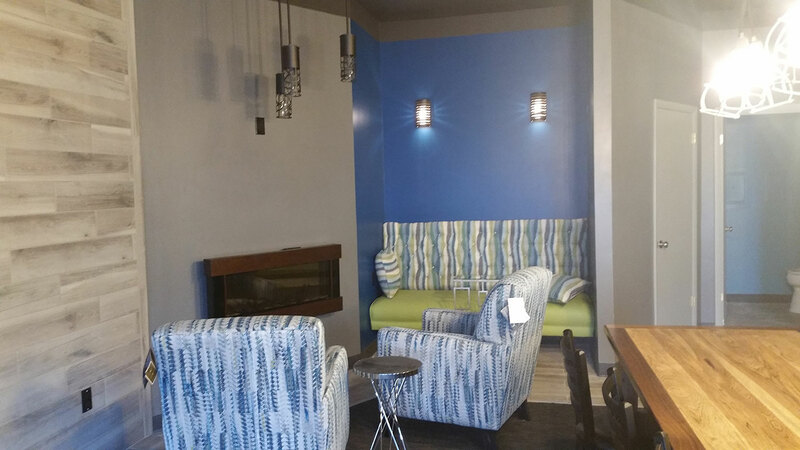 Make Higher Grounds Coffee your home away from home! Our comfortable surroundings and friendly staff will create the perfect atmosphere for your next special occasion. With a large selection of menu items plus a number of specialties, you&apos;re sure to find the perfect combination to satisfy all your guests. We can even create a special custom latte for the occassion. A "True Love Latte" or a "Bundle of Joy Mocha" will add an extra festive touch to your party. 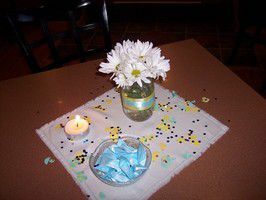 You can decorate our cafe for your special occasion to make it more fun and personal for your group and guest of honor. 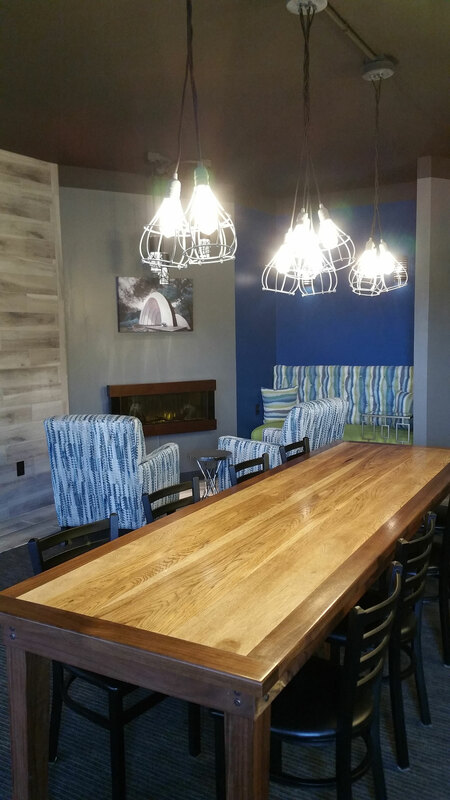 For groups of 10 to 50, Higher Grounds Coffee has the space ideal for you. We will do everything we can to make your event a huge success. 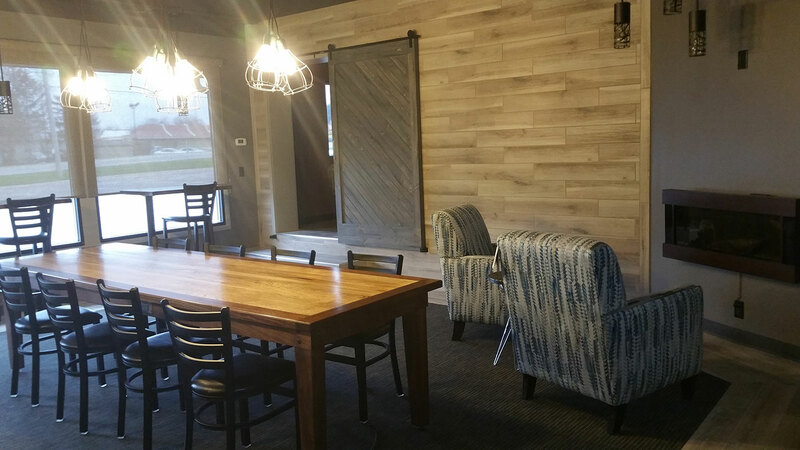 (Rental rate for entire facility during evening hours or when store is normally closed – $120.00 for up to 4 hours. Includes one staff person/barista. For larger groups requiring additional staffing, additional charges may apply. 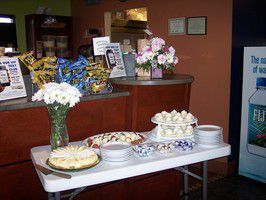 Catering is available for your group or meeting. We have space for about twelve pieces, more if smaller. We have a Gallery System in place which makes it easy to hang and position artwork. Pieces with a wire across the back work best to hang from the gallery hooks. We can accommodate some larger pieces. We are looking for a wide range of works: paintings, photos, etc. We will show your work for 1 to 2 months. You may price your work. We will charge no commission. Sales are strictly between you and the buyer. We can have more than one artist in the space, so ask an artist friend to share the space with you if you want. Higher Grounds reserves the right to reject any art at any time. Artist is responsible for transportation and hanging of art.